Later tonight, five division world champion Floyd Mayweather Jr. (49-0, 26 KOs) will return to the ring for the first time in two years, when he faces UFC superstar Conor McGregor at T-Mobile Arena in Las Vegas. McGregor will be making his professional debut in a boxing ring. There were many twists and turns in the pre-fight promotion of the fight. And one of the bigger side-stories was the feud between McGregor and former two division world champion Paulie Malignaggi. Malignaggi, who retired from the sport several months ago, was hired as a sparring partner to assist McGregor in preparing for Mayweather. That relationship didn't last too long, as Malignaggi quit after members of McGregor's team decided to leak images from a sparring session. In those images, Malignaggi appeared to be taking punishment and was down on the mat from a claimed knockdown. From that point forward, a vicious war of words would play out between the two athletes. This past Tuesday at T-Mobile, Malignaggi and McGregor continued their beef with a face to face confrontation that saw them get separated after trading some words. Malignaggi holds a key position in Showtime's broadcast team. He will be ringside at T-Mobile, calling the live action on Showtime pay-per-view. But a large number of McGregor's fans have called for his removal from the broadcast position - at least for this event - after a video began to circulate which showed Mayweather and Malignaggi hanging out together - and Mayweather claiming that he sent Malignaggi to McGregor's camp as a spy. There is some concern from McGregor's fans, that Malignaggi will be biased in his commentary and use his on-air role to take verbal jabs at the MMA star. 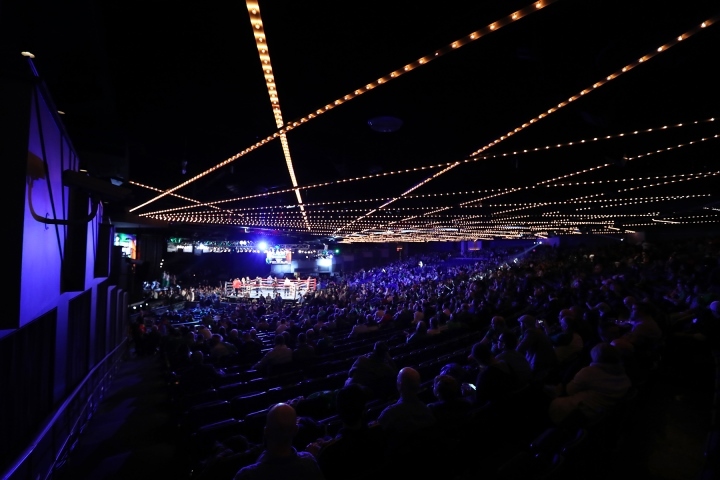 Malignaggi is promising to call the action right down the middle and rejects the idea of being biased against McGregor or anyone else on the pay-per-view. “I’m an ‘X’s’ and ‘O’s’ guy. Just like I explained to you the knockdown [in sparring with McGregor], the ‘X’s’ and ‘O’s’ of it, the dynamics of that ‘knockdown’ and I explain that stuff when I’m on the broadcast, too. So when I explain things on the broadcast in this way, I’m allowing you to follow along. I’m not telling you to take sides, I’m not telling anybody to take sides," Malignaggi told Undisputed on FS1. It's gonna be such an embarrassment.